Mangaluru, Mar 27, 2015: . The Regional Transport Office (RTO) has served Ola cabs notice on various violations. The taxi aggregator has been given a fortnight to respond. RTO Afzal Ahmed Khan said that violations cannot be listed as we are still awaiting Ola’s reply. Earlier, Ola drivers have been issued notices since they were not operating under the RTO requirements. The local taxi operators are also gunning for the taxi aggregator, which is offering much cheaper fares than regular taxis. For instance, a pick-up and drop to Mangaluru International Airport on Ola cabs costs Rs 250; a regular taxi charges Rs450 for the same. This has led to war and Ola drivers have been at the receiving end. Ola passengers too have to bear the brunt as they are waylaid by local taxi drivers and are prevented from entering the airport premises. 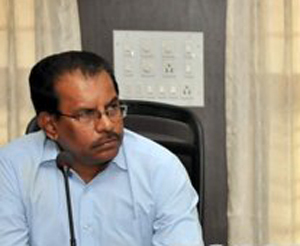 Radhakrishna Holla, general secretary of Bangalore Tourist Taxi Owners’ Association (BTTOA) said that HC had given directions to the state government to bring taxi aggregators under a regulator under the Motor Vehicle Act. But this has not been implemented. Dakshina Kannada District Taximen Association and Maxi Cab Association president Monappa Bhandary said: "They need permit as city taxi to operate their services. However, Ola is operating illegally using an All India Taxi Permit. This issue is not restricted to Mangalore. The Delhi government too has asked the cab aggregators to obtain licenses under the radio taxi laws and Kolkata wants them to register under the Information Technology Act 2000. The ministry of road transport and highways said the onus of bringing companies under the radio taxi laws lies solely with the state authorities. But the state government is still dilly-dallying to frame guidelines for taxi aggregators. We have made several representations to the state and Centre in this regard. He said a small city like Mangaluru should not have taxi aggregates ,as the operating distances are small and it will affect the livelihood of local taxi drivers who have taken vehicle loans to run their business.